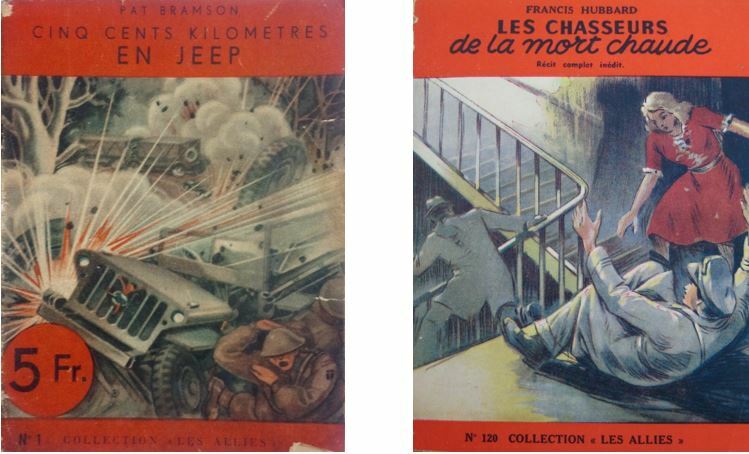 The Chadwyck-Healey Liberation Collection, 1944-1946, which consists of books and pamphlets in French on the Second World War, the Occupation and the Liberation, has become a major part of the French Special collections at Cambridge University Library. In 2014 the Liberation collection comprised 600 volumes, but it now includes over 3000 items. Over the years, staff from the Collections and Academic Liaison and the Rare Books departments have contributed to the processing, cataloguing and promotion of the collection, including Sophie Defrance, Sophie Dubillot, Josh Hutchinson, David Lowe and Clara Panozzo Zénere. We are now very pleased to be able to recruit a new cataloguer who will be in charge of cataloguing the last 1000 books of the collection! The collection, donated to Cambridge University Library by Charles Chadwyck-Healey, started in 2001 with the purchase of the photographic album by Jean Éparvier, À Paris, sous la botte des nazis, Éditions Raymond Schall, 1944 (Liberation.a.33), and is very rich in illustrated books. 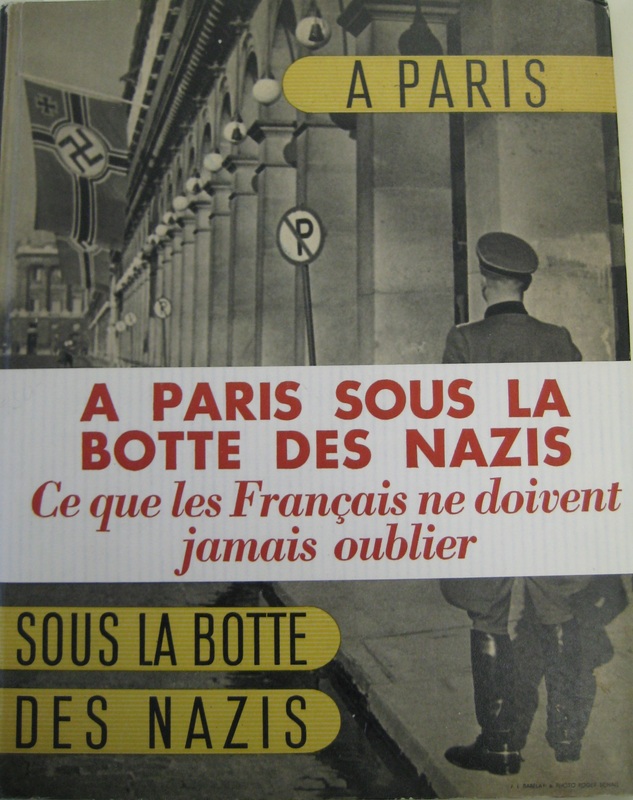 In 2014, for the 70th anniversary of the Liberation of Paris, the collection was the focus of a Cambridge University Library exhibition: Literature of the Liberation, the French Experience in Print, 1944-1946 (see Cam.b.2014.25). We are delighted to announce that the annual Liberation Literature Lecture, held in partnership with Clare Hall, will be delivered by award-winning author Anne Sebba. Anne’s lecture is entitled “Parisian women and the Nazi occupation: uncovering their lives and their relationships” and is based on her compelling book, Les Parisiennes, published in 2016 (C213.c.2385). She conducted extensive research, including firsthand interviews with women who survived the war in Paris, to bring to light the unknown voices and stories of women of all ages, classes and nationalities. This is a fascinating book I couldn’t stop reading. 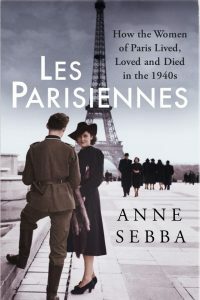 Anne Sebba knows everything about Paris during the War. She understands everything about the chic, loathsome collaborators and the Holocaust victims, and their stories are told in an irresistible narrative flood. Madeleine Kingsley in the Jewish Chronicle called it a “tour de force of research and reflection”. It promises to be an enthralling lecture on an important subject and will be accompanied by an exhibition of books drawn from the Chadwyck-Healey Liberation Collection 1944-1946. The event takes place in the Richard Eden suite at Clare Hall on Thursday 1 November 2018 at 18:00. The lecture, followed by a wine reception, is free and open to everyone but tickets must be reserved. Click here to book. Everybody knows about Ruth Klüger or Primo Levi; Imre Kertész won the Nobel Prize in literature in 2002, and Elie Wiesel was awarded the Nobel Peace Prize in 1986. These authors are famous for their autobiographical texts about the Shoah, which they wrote after having survived the Nazi extermination camps. Their books are well known, they became part of the literary canon and have led to a lot of scholarly research. The Chadwyck-Healey Liberation Collection in Cambridge University Library offers a promising addition to that field of research, because the collection keeps very similar, though much lesser known books. As the Liberation Collection focuses on books published between the Liberation of Paris in August 1944 and the end of 1946, the collection’s accounts of the Holocaust rank among the earliest testimonies of Nazi crimes, deportation and mass murder during the Second World War. These testimonies range from written accounts to documents and even paintings and illustrations. Even for research focused on books about the extermination camp of Auschwitz, the Liberation Collection offers a diversity of genre, tone, biographical background and emphasis.